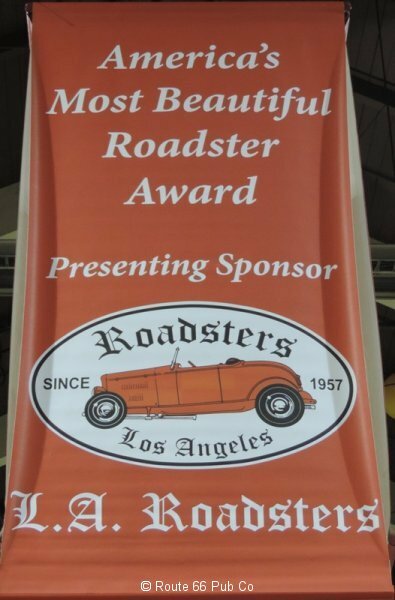 To win the America’s Most Beautiful Roadster Award (AMBR) at the Grand National Roadster Show (GNRS) you must meet certain requirements, besides knowing the alphabet. 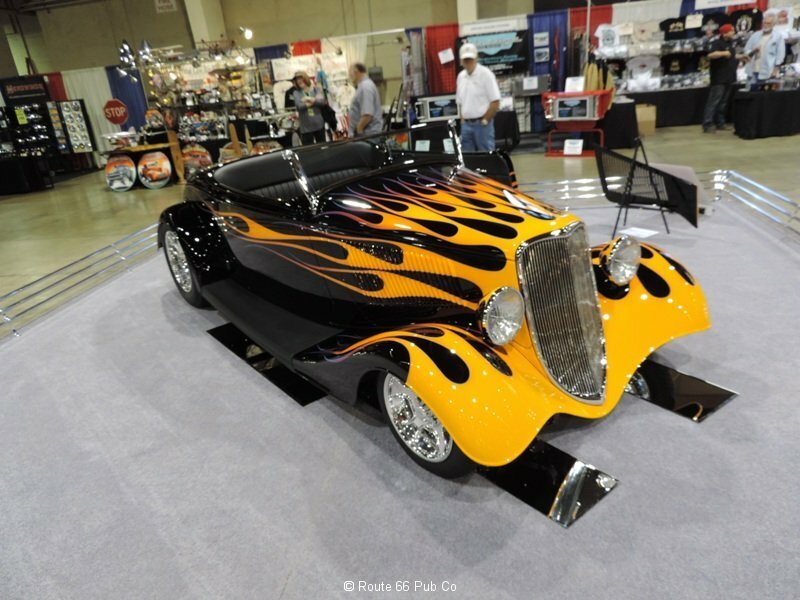 The car must be a roadster (no hardtop), have no windows in the doors, younger than 1937 and not been entered into any previous public show. 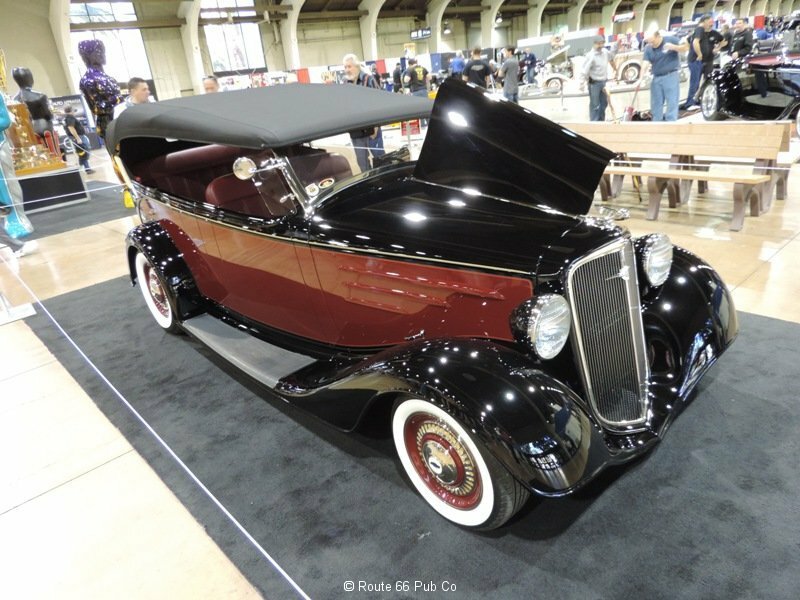 For the sixtieth year of the Grand National Roadster Show, which bills itself as the longest running indoor car show in the world, the judges selected a 1933 Ford roadster built by Bobby Alloway as the winner of the gargantuan trophy. Larry Olson from South Dakota owns the car. 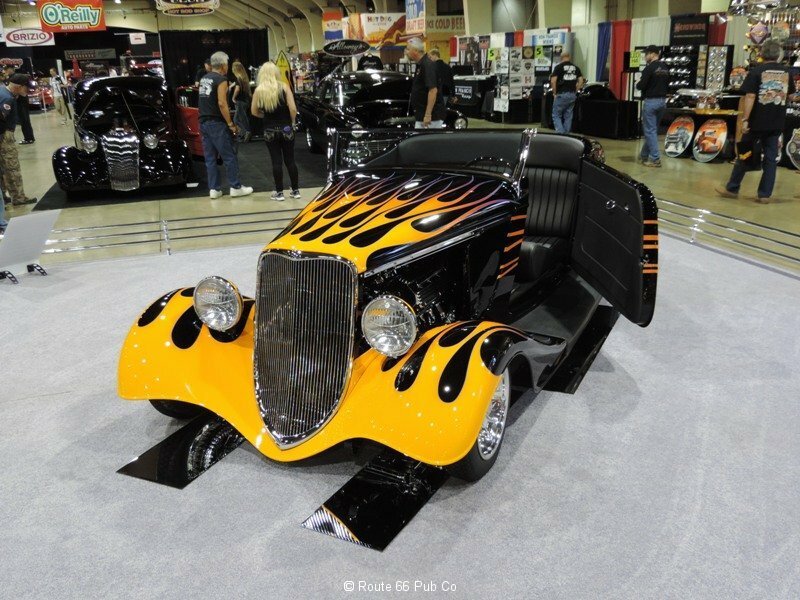 The Grand National Roadster Show originated in Oakland California, moved to LA and then settled in at Pomona. 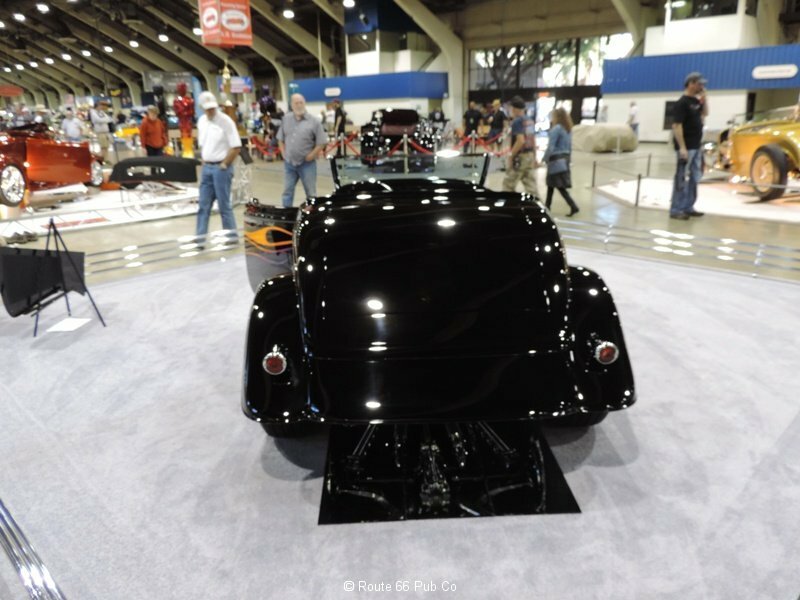 This is the second time a Bobby Alloway built car won the award. 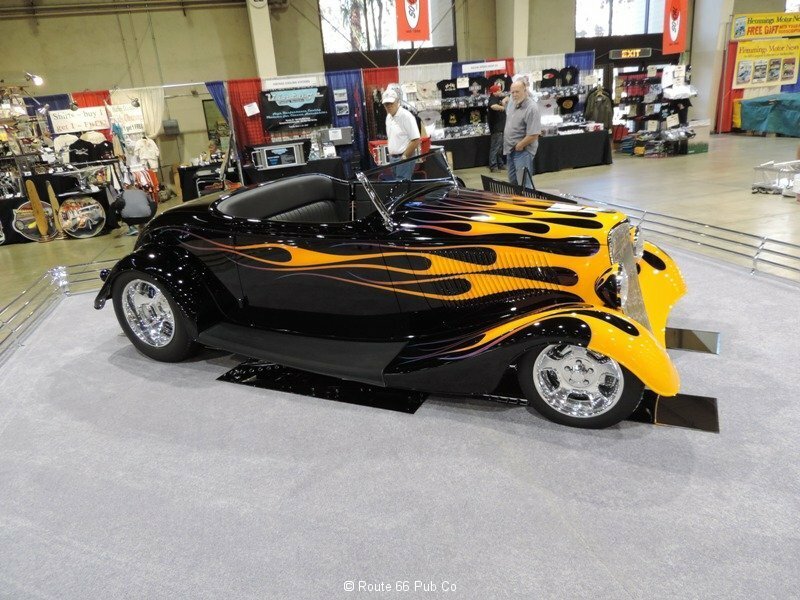 To make this beauty low, Alloway touched all the panels and stretched the front end two inches. 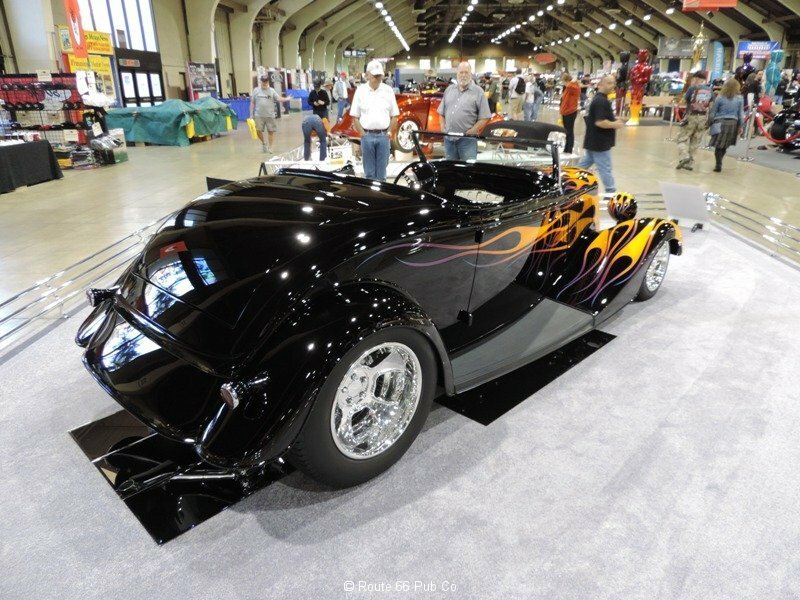 It was finished in black with a yellow “Ohio-style” flame job,The motor is a Hemi 241 with a set of Stromberg 97’s on top, but hiding an actual fuel injection system. A Tremec five speed is attached and links up to a Halibrand quick change rear end. There were eighteen contenders for the award this year and some showed some serious workmanship and were rightful contenders. Along with the contenders, the past year winner was present which we have seen before, as was the Detroit Riddler winner. Made for some impressive bragging rights in the building. 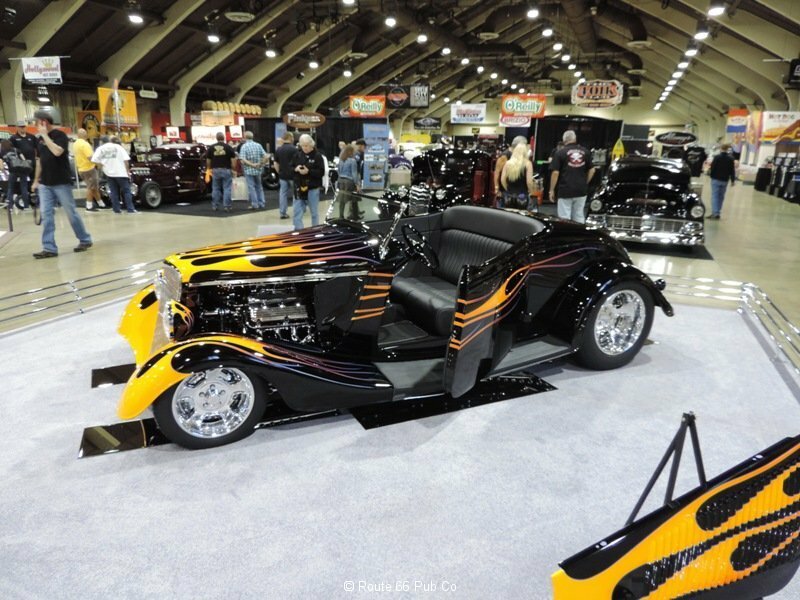 Besides the AMBR award there are a slew of other awards issued in various categories and on Saturday and Sunday the locals bring out some neat cars for a two-day outdoor car show. One building was dedicated to just the 1940 Ford, celebrating its 75th anniversary. In future blogs we will highlight the other contenders and some other awesome cars we saw. So be sure and subscribe to our blog. 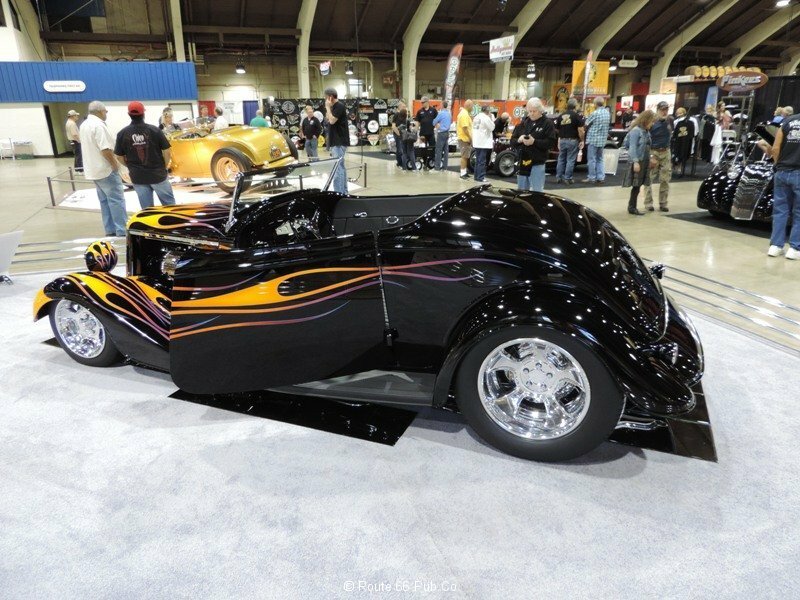 What do you think of Alloway’s build?